We're extremely excited to present this one to you guys- it has immediately become one of our favorite sabers in the arsenal, and we're sure you'll agree. 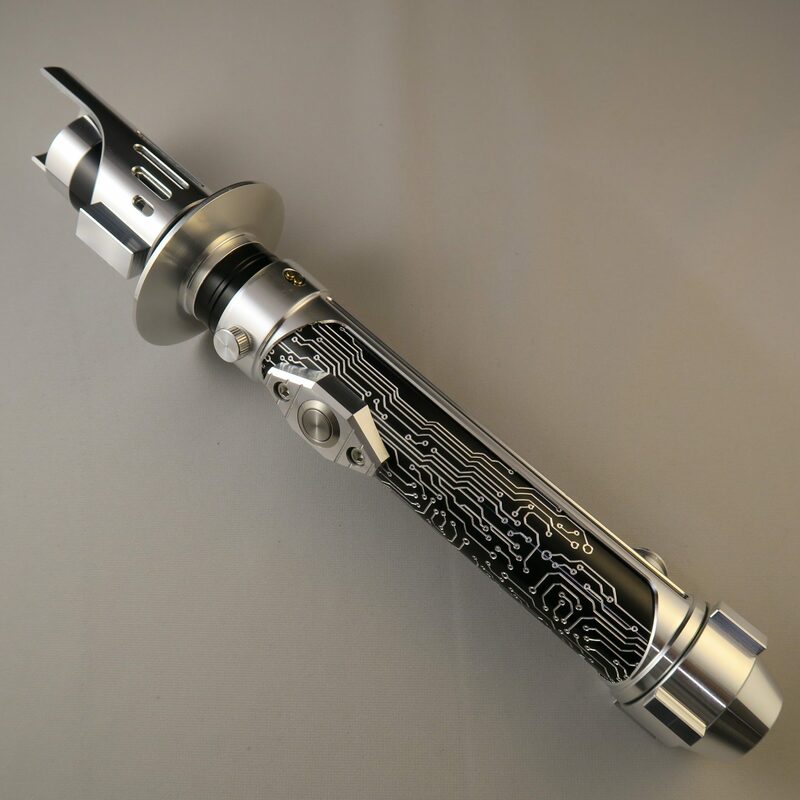 Top to bottom, this saber is packed with features that we've been itching to outfit a single saber with for a long time. 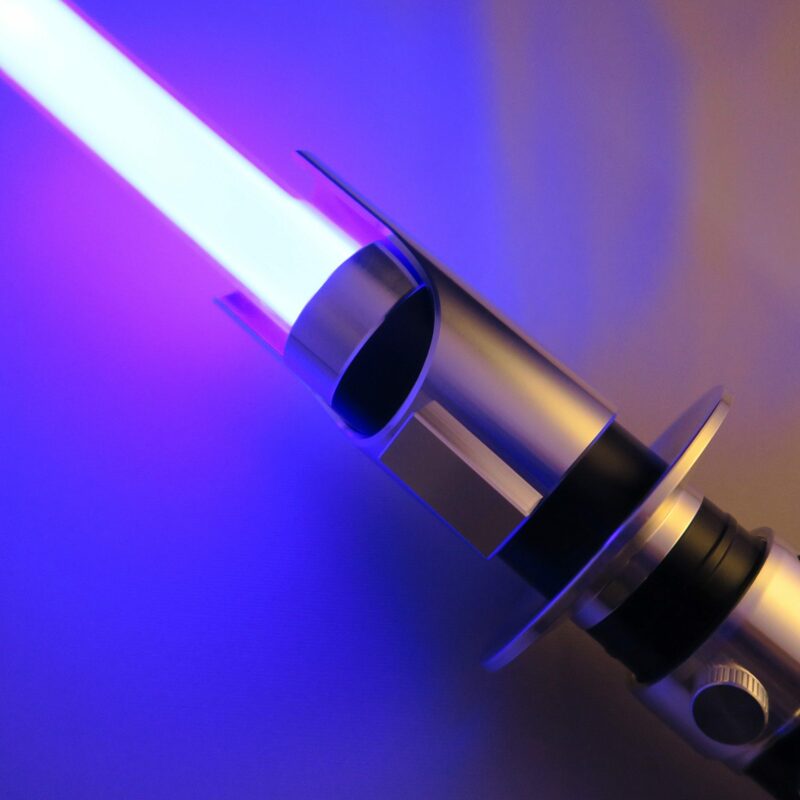 Say hello to one of the most beautiful emitters we've ever crowned an Ultrasaber with. The Spectre's emitter rests atop the first rounded guard we've ever featured, and is available with or without the beautiful wrap-around vertical windows for a look of pure elegance. The emitter's features don't stop there. 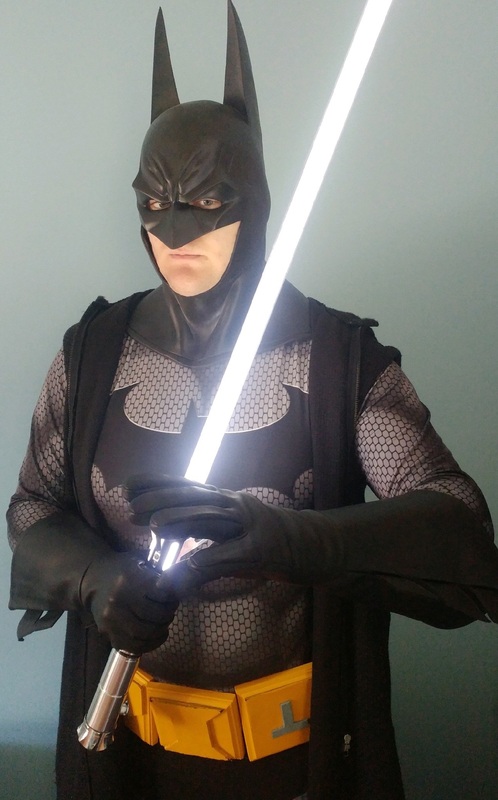 The Spectre is the first Ultrasaber that can be worn in two parts. We've designed the Spectre to accommodate a covertec wheel in the emitter so that it can hang from your belt independently of the hilt. 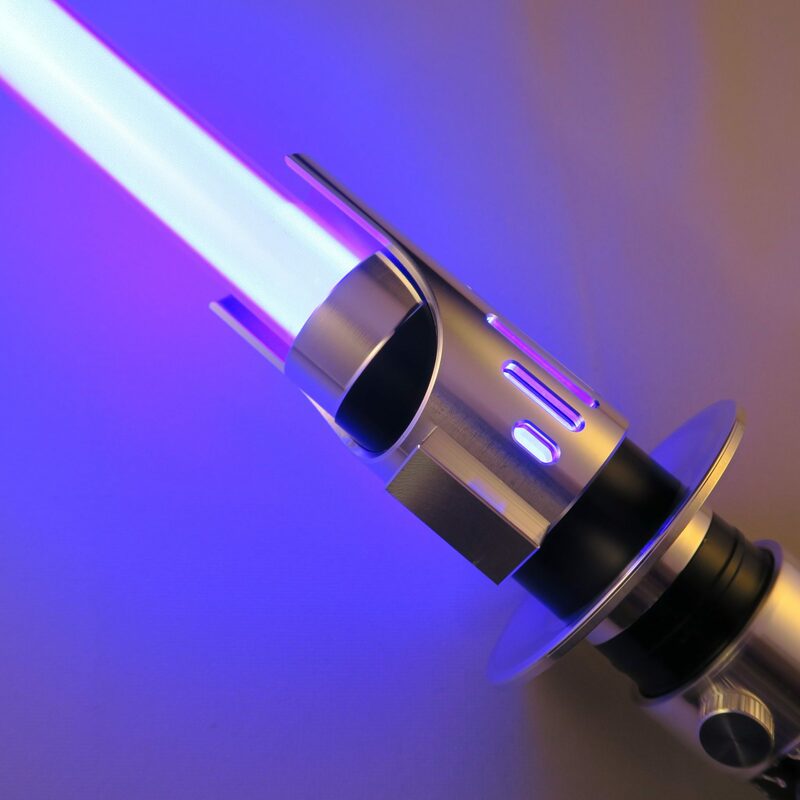 If you recognize this saber from it's inspired source, you'll understand why we're so excited to be able to offer this feature, and why we worked so hard to make sure it was included. You've undoubtedly already noticed the body of the Spectre. 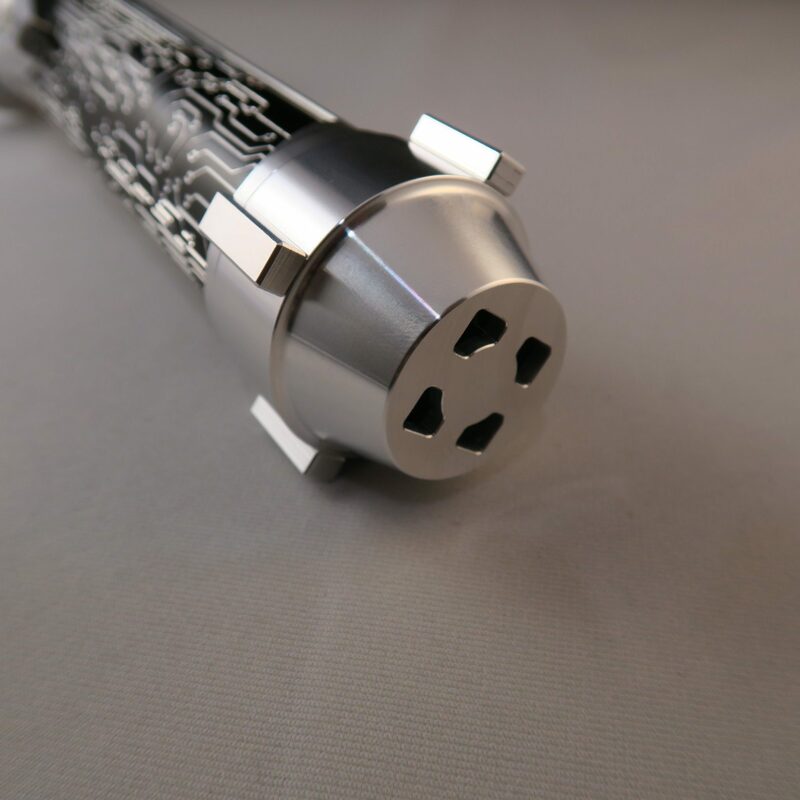 You all asked us to bring more sabers with etching to the lineup, and we weren't about to hesitate to give you all what you ask for. The Spectre has been given the full-pattern treatment, with an intricate circuit board look that's sure to turn some heads. For you purists out there: we haven't forgotten about you! 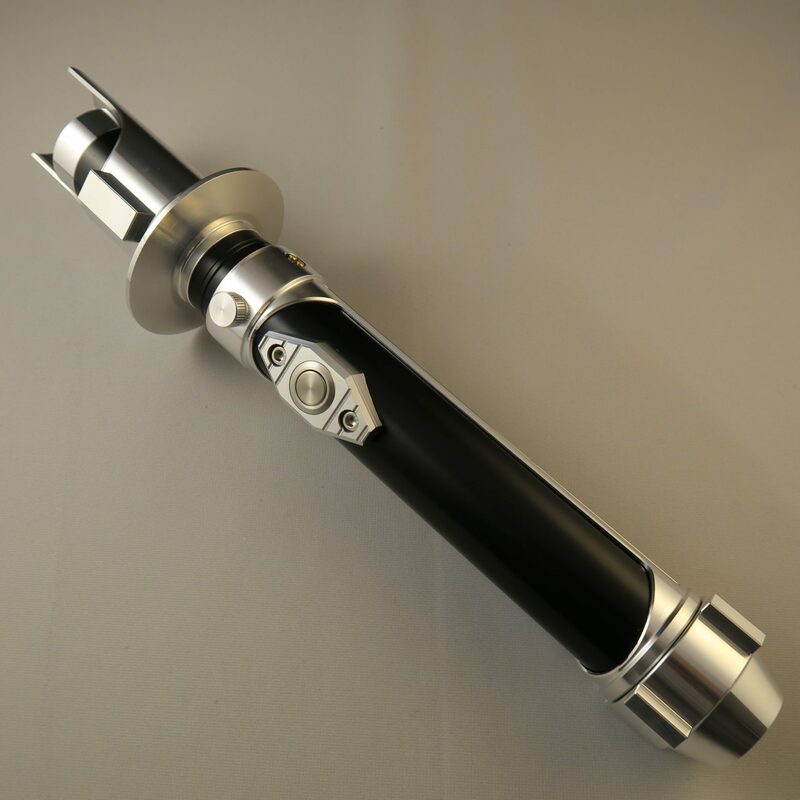 The Spectre's body is available in a classic black anodized finish for that clean tuxedo look that you know and love from Ultrasabers. Finally, The Spectre comes standard with a covertec wheel that rests centered on the back of the shroud above the pommel. 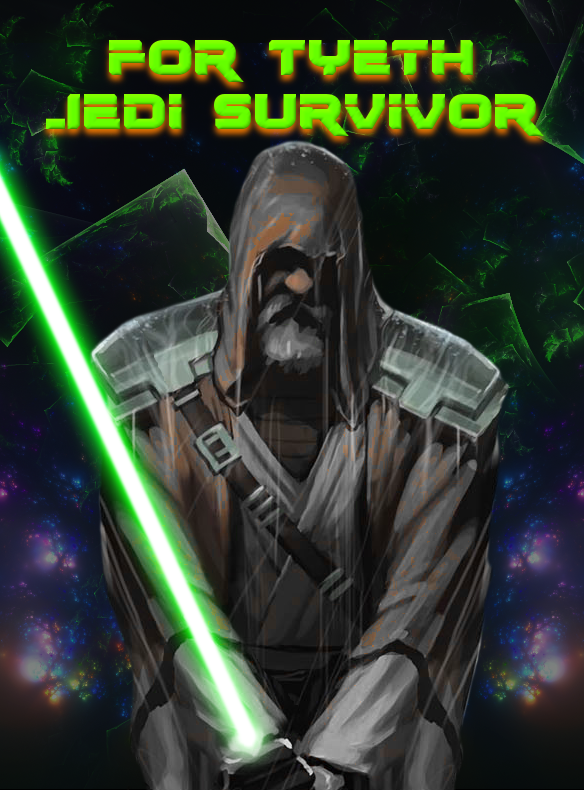 You Ultrasabers veterans know that our features and options don't stop there! We got such great feedback from all of you when we released our square and angled activation boxes, so we especially wanted to bring them back for The Spectre's hilt to really complete the saber's look. And last, but definitely not least, we've capped off the Spectre with a great new pommel that really gives it the perfect balance you know we prioritize in a saber crafted for expert combat. The Spectre's pommel features four cardinal direction ridges that alternate with the position of the sound vents and really compliment the vertical etching that runs the length of the shroud. The Spectre's pommel has been designed to accommodate a D-Ring for another option to be worn for cosplay (or any other night on the town). Wow. 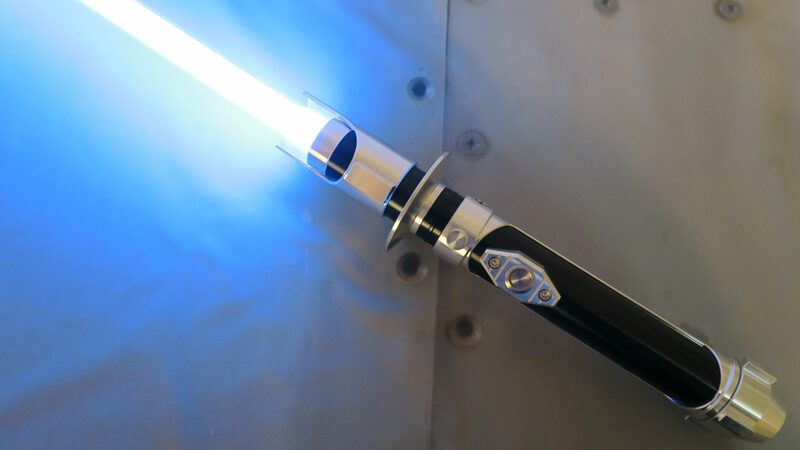 This is one really nice looking saber. Think I'd want two of those. I'd have both finishes. 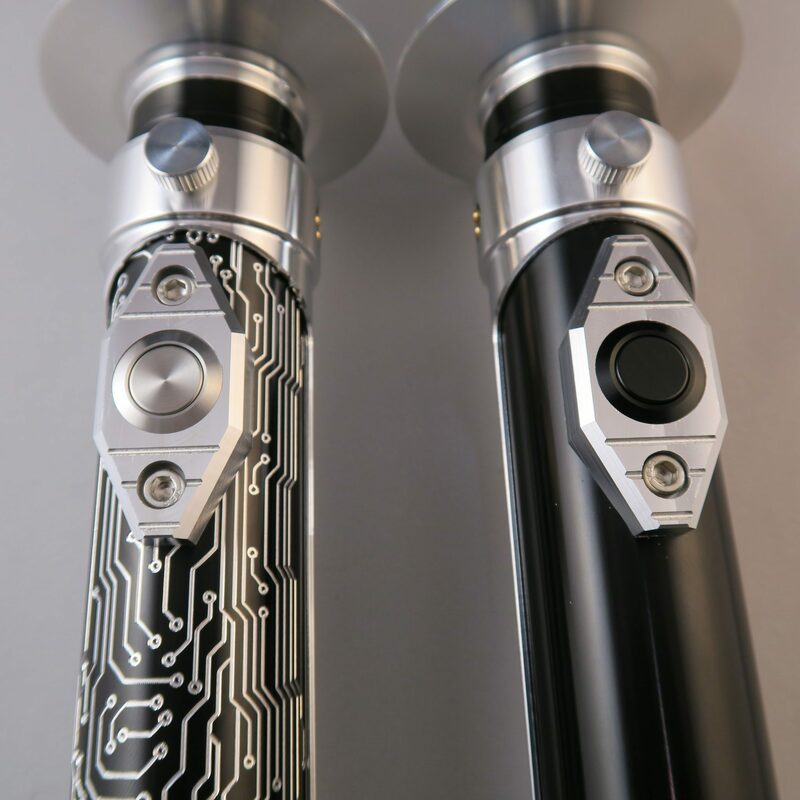 Nice job Ultrasabers. Gah! The one I've been waiting for...nooo my wallet is not ready yet. 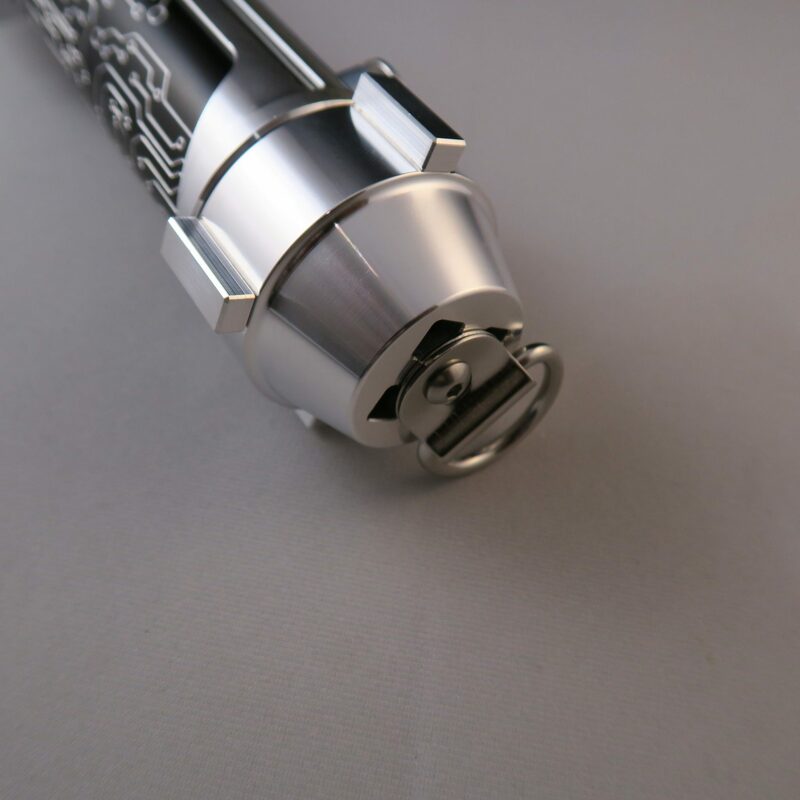 Excellent work and really nice details on this saber. Piano black or circuitry?... argh all these hard choices! The circuitry one will be mine. Just have to figure out the LED color. Right now, I'm thinking maybe SRD with AB FOC. I'll probably change my mind, though. Love that it has an LED screw to hold it in place. I know it is for a reason but it would still be nice to see this become a standard. I have another saber with that combo and really like it. However with the Spectre being such a bold saber... those color combos may be too soft or not dynamic enough if the circuitry model is chosen. 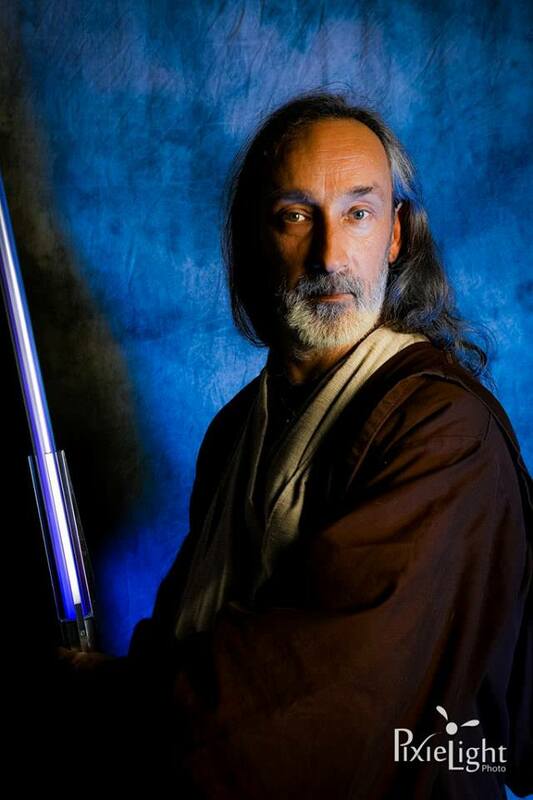 Me too and perhaps a QD for other options as I don't like fiddling around with my sabers on a computer. I wonder if this is going to be a wide girth saber like the Fulcrum and if the open slats in the shroud will be uncomfortable without gloves. Am already thinking of other emitters and pommels to swap out. It's been a while since the last time I posted. 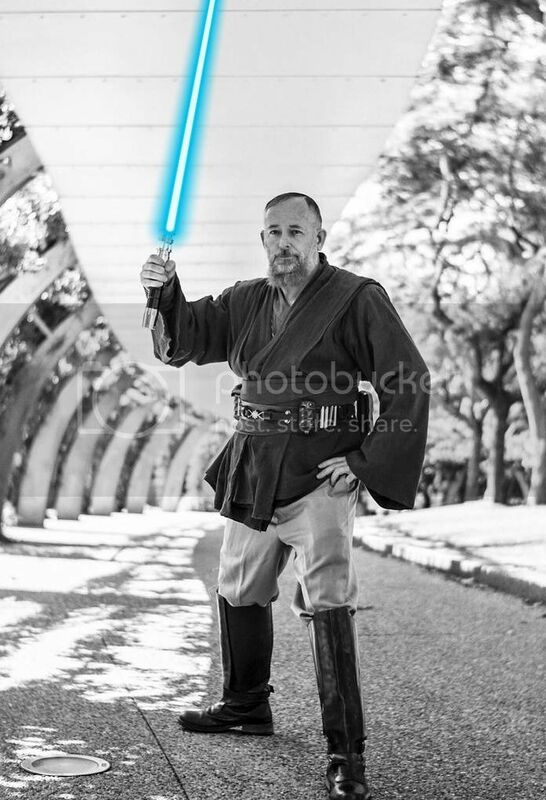 Great work on the new Spectre saber. 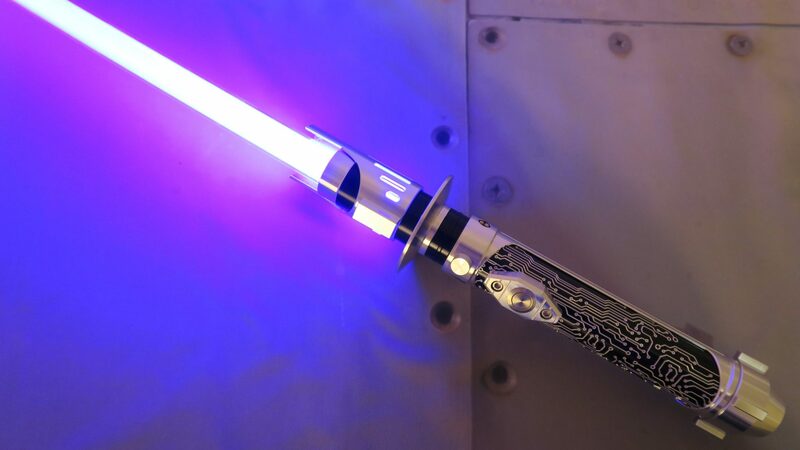 It looks great and I like the options you get for this saber.
" Who's the more foolish? The fool, or the fool who follows him?" 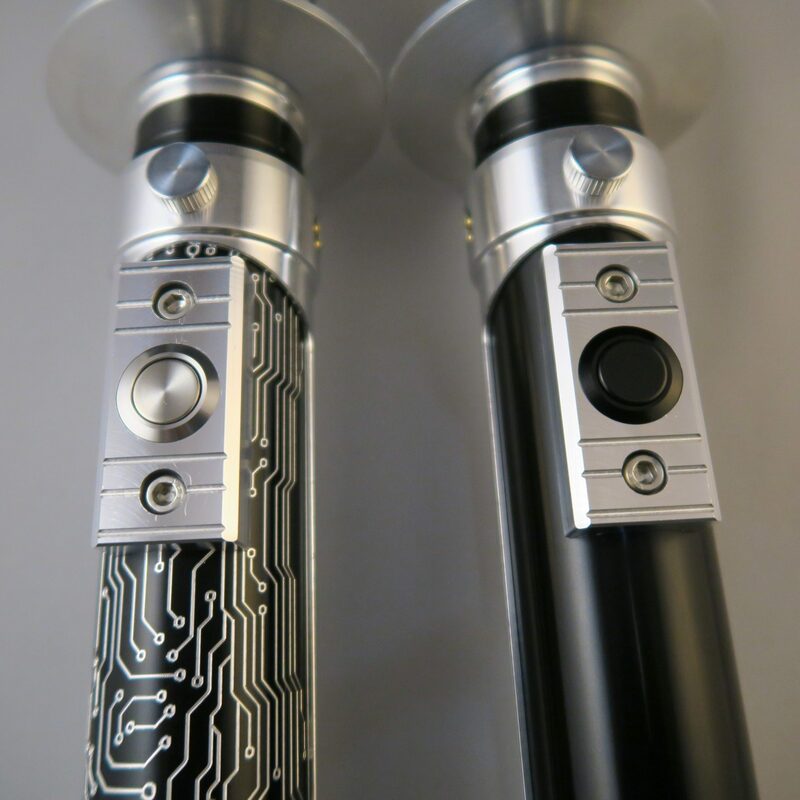 The last couple of new sabers, were passable, in my opinion. The Spectre is a Wishlist saber. really can see this turning into a hit with many people.